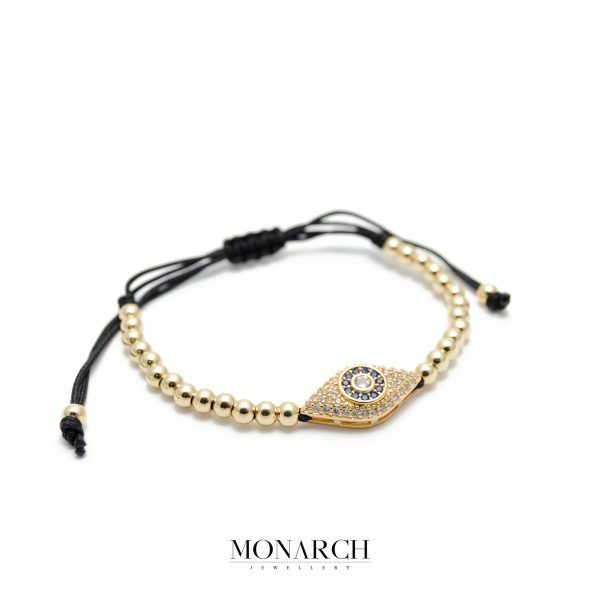 The 24k Gold Red Zircon Macrame Bracelet is handmade crafted to complete your elegant and luxurious style. 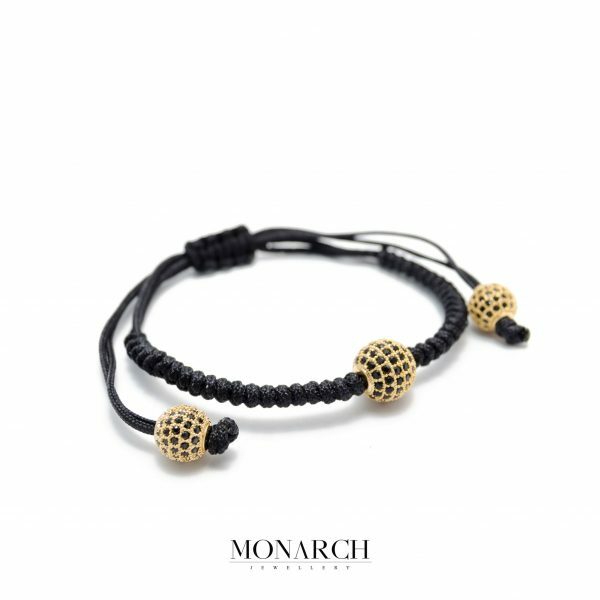 With 3 large beads, covered in semi-precious red zircon stones, it will make you achieve a stylish outfit. 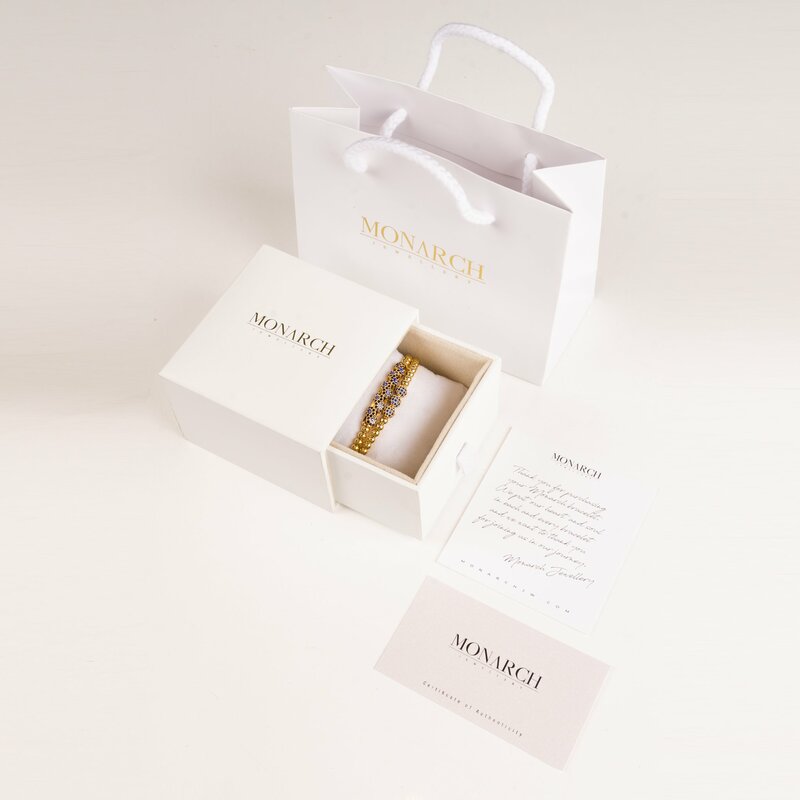 You can combine it with another gold Monarch Jewellery bracelet to have the perfect style balance.